Dubai: The Dubai Code of Practice for Self-Driving Vehicles, the world’s first set of guidelines for the trial of driverless cars has won a regional traffic award, the Roads and Transport Authority (RTA) announced on Tuesday. The guidelines that the RTA has formulated and will come into effect by the end of 2019 won the Best Public-Private Project Award during the recent Gulf Traffic Exhibition and Conference. Part of RTA’s efforts to transforming 25 per cent of city journeys into self-driving trips by 2030, the guidelines aim to attract manufacturers to invest in researches and trials that will help transform Dubai into a regional hub for self-driving vehicles. “Winning this award underlines our belief that improvements in the self-driving vehicles rest on carrying out diverse trials on these vehicles," said Ahmad Behroozian, CEO of Public Transport Agency and Head of Smart and Sustainable Transport Committee at RTA. 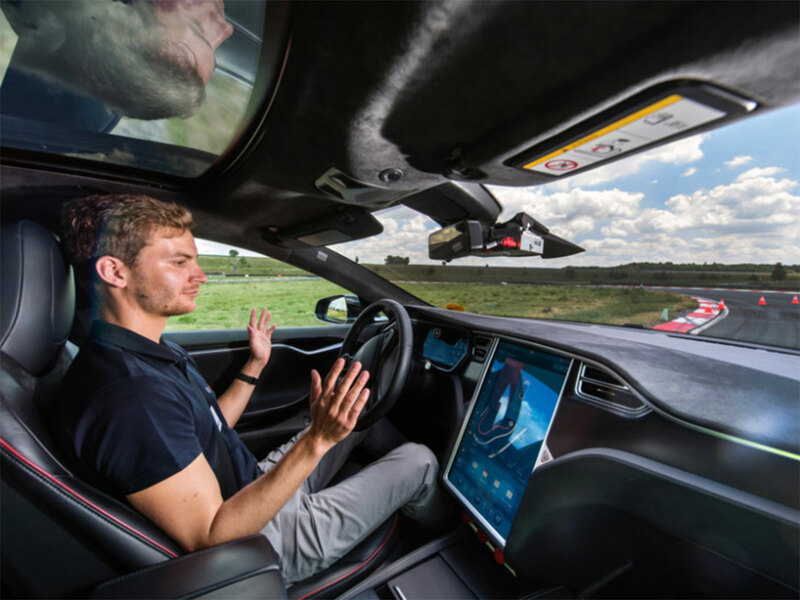 "We have therefore introduced the Code of Practice to describe the minimal safety and security requirements of self-driving vehicles to be tested,” said Behroozian added. He added that in keeping with the guidelines, RTA issues permits to companies to carry out trials within Geo-Fenced Areas to control the number of potential risks. “RTA has developed this Guide, which is the first of its kind worldwide, to enable manufacturers to test the technology systematically in Dubai,” said Behroozian. The guide includes a clear methodology for testing these vehicles against international standards to ensure the transparency and governance of the vehicle assessment procedures. It also highlights the security and safety of passengers as well as road users. “When the vehicle passes through all stages of testing, a no objection certificate is issued for the use of vehicles on Dubai roads as per the applicable legislation. This guide, which will be implemented by the end of 2019, contributes to attracting manufacturers to invest in researches and trials to transform Dubai into a regional hub for self-driving vehicles,” said Behroozian. Phase 1: Compliance and test. It verifies the eligibility of manufacturers to take part in tests under specific criteria. Phase 2: Tests within Geo-Fenced Areas. It aims to ensure the safety of vehicles for riders and road users, and the fitness of vehicles for driving on Dubai roads. Phase 3: Assessment through Simulators. This phase aims to study the overall impact on road network. Phase 4: Trials on specific parts of Dubai roads network witnessing moderate traffic movement. The aim is to deploy trial vehicles with other vehicles while giving due consideration to the safety of road users.